WEST CHESTER, PA, UNITED STATES, August 17, 2018 /EINPresswire.com/ — The United States of America's national identity is not merely a scientific concept or an abstract term. It is not merely a political tool or a subject of academic discussions. 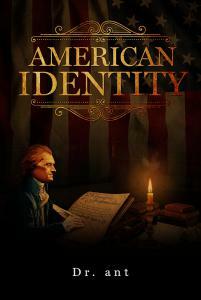 America's national identity is embodied in its people; it is made of flesh and blood. This great nation's identity is a living entity; it is more real than everyone individually. It keeps the nation's principles and ideals and spirit alive. America's national identity is demanding, but it is also pleasing. American's feel pleasure when they know they have performed their duties, when they have reverence for their heroes and for their traditions. America's identity is not grim and dark; it is bright and full of light. It is the guiding light of the world. The people's national identity is the mission of America, and vice versa. The nation's children must be, and all citizens are chosen to be, the spiritual leader of mankind. God has chosen American's to make people free, to liberate them not only from oppressors but from evil as well. Thus, American's should remain strong but also meek, for their power is given by God. They must act, but they must pray as well, for “blessed are the meek, for they will inherit the earth” (cf. Matt. 5:5). The one who inherits the earth is actually the eldest son, the one who takes care of his younger brothers and sisters. America is the eldest brother of all nations, protector of the spirit of Christianity, and liberator from oppression. But America will always do what God has commanded, for “the man who does the will of God lives forever” (cf. 1 John 2:17). Previous articleUPDATE — WeedMD and Phivida Sign Definitive Agreement on Cannabis Beverages Inc.